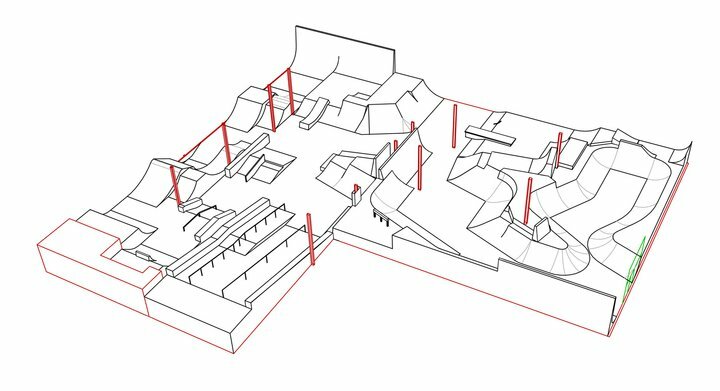 One of the best things about Unit23 skatepark in Dumbarton is that it is constantly shifting. New sections are getting built all the time freshening up the terrain. Well guess what? They’re at it again. Hall 2 over at Dumbarton is closed for a six week refurbishment and the new designs as drawn up by none other than Dave Sowerby are looking really good. Check it out below and keep an eye on their Facebook profile for details.